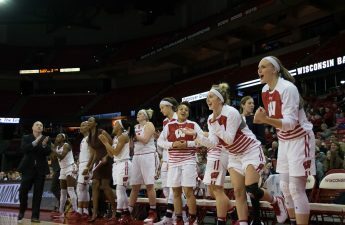 Wisconsin Badgers fifth-year senior Lexy Richardson is leaving a lasting impression not only on her fellow teammates but on the community as a whole while raising the standards for collegiate athletes everywhere. 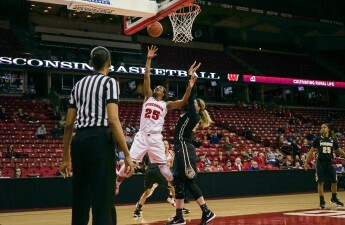 Richardson came to University of Wisconsin with no intentions of being a student athlete but knew she wanted to be around her favorite sport — basketball. As the team began facing a growing number of injuries, the coaching staff encouraged Richardson to try out. Richardson quickly became a team contributor and a force to be reckoned with on the court. 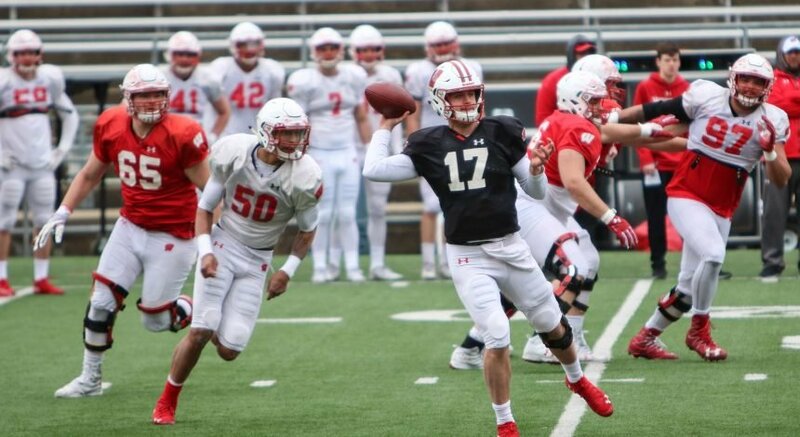 One September day, her career as a Badger took an unforgettable turn. She fully embraced her new position as a team leader and felt empowered to take advantage of all the opportunities that being a collegiate athlete had to offer. Currently, 44 percent of all student athletes in the NCAA volunteer around their community. Richardson however, is leading the women’s basketball team in volunteer hours and says she tries to give back to her community once or twice per week. Richardson goes to Randall Elementary School every Wednesday to participate in the Classroom Buddies program. Classroom Buddies matches an athlete with a particular student who requires a little extra help and guidance in certain subjects like reading. She enjoys building relationships with the students she gets to help and feels as though she can offer them guidance beyond the classroom as well. She spoke of a specific fifth-grade girl she’d been helping for a while who had expressed to her that she didn’t really have an interest in going to college or pursuing school for very long. But Richardson was able to offer her college experiences and convince the young girl that she could do anything she set her mind to — even college. “It’s been fun to really build a relationship with her and get to learn about her life … It’s just cool to be able to plant the idea in them of what they can be and how great they can be … it’s all been really rewarding,” Richardson said. The redshirt senior guard is a huge advocate for getting into the community as much as possible. She believes it really helps her put life into perspective. Many people find it hard to believe that a D1 student athlete would have time to go out and volunteer as much as Richardson does but she fully believes that anyone can make time for the things they want to make time for. She dedicates almost all of her down time to volunteering and said that she is still enjoys everyday to the fullest. She plans on becoming a pediatric physical therapist and views her time with the kids as precious experience for her future career. She hopes that with these experiences she’ll be able to view her future career not as a job but as just another opportunity to give back. “When I leave here, I want people to just think of me as a good person … helping teammates and friends on and off the court,” Richardson said. 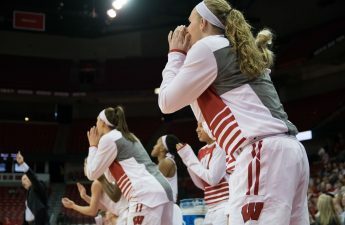 She will be leaving a lasting impression on not only her teammates but on every single person she has dedicated her time to off the court — Lexy Richardson has set the bar even higher for all current and future UW athletes.